Hospitals and health systems around the world are turning to data-driven healthcare to provide better patient care while managing costs and driving operational efficiencies. In the U.S., there’s a movement toward compensating health providers based on patient outcomes rather than just reimbursing for services provided—particularly for Medicare and Medicaid patients. All of these changes require gathering and analyzing huge amounts of data across multiple systems while securing the privacy of patient and hospital records. Using a hybrid cloud model, major healthcare organizations are deploying flexible and highly secure solutions that improve cost management and patient outcomes through data. To improve the health of low-income populations, New York is transforming the state’s Medicaid system. The goal is to facilitate more collaboration across a vast network of healthcare organizations and shift compensation models based on patient outcomes. Mount Sinai Health System became an early leader in implementing the new state initiative. The organization initially developed the technology infrastructure on-premises to coordinate and analyze data across a network of 10,000 providers at 200 organizations in the New York City area. The network encompasses hospitals and private medical practices, as well as substance-abuse treatment centers, nursing homes, homeless shelters, and numerous community outreach organizations. However, Mount Sinai soon realized it needed a solution that was more agile than its on-premises solution alone could support. After evaluating several cloud solutions, Mount Sinai’s engineers chose the HIPAA-ready Microsoft Azure cloud platform because it could support a hybrid model with systems in datacenters at Mount Sinai and other network providers as well as in third-party clouds. This enabled Mount Sinai’s staff to provide protected IT services for all 200 organizations while giving them access to an ecosystem of cloud services. Today the system includes analytics solutions that measure performance against state standards. Its business intelligence solution provides a comprehensive view of the services a single patient receives across the whole network, enabling case managers to spot any gaps in patient care. And the CRM facilitates better communication and coordination with patients. “A series of applications developed and hosted in Azure are allowing us to improve care coordination and chronic-disease management, which ultimately helps to improve population health,” said Deepesh Chandra, IT Director, Mount Sinai PPS. The system has been highly successful so far in driving better measurement and efficiencies and improving patient health. Mount Sinai even expects the new system will reduce unnecessary hospital visits by 25 percent over the next four years. In the Philippines, out-of-pocket healthcare spending is far higher than the global average. Access to good healthcare, though, is a longstanding problem, as the quality varies among hospitals and between urban and rural areas. A recent rise in infectious diseases, largely brought about by climate change and overcrowding as the population moves from rural areas to fast-growing cities, has compounded the situation. Asian Hospital and Medical Center (AHMC) is taking a lead in raising the overall quality and consistency of care, using health informatics—powered by Power BI and Office 365—as a key part of the solution. With advanced analytics and a plan for hybrid cloud infrastructure, AHMC is working toward being able to consistently capture and analyze data across the health system. This visibility into digital records is helping the organization better understand how care is administered and where to make changes. For example, the network now can thoroughly analyze the progression of infectious diseases, how and where patients use healthcare services, and the complete patient journey—from ER through diagnostics, treatment, and sometimes repeated visits. Learn more about how Microsoft technology is empowering healthcare organizations to drive better efficiency, quality of care, and patient outcomes. 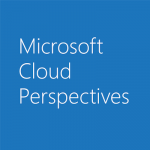 To stay up to date on the latest news about Azure, Visual Studio, and Microsoft’s work in the cloud, visit the Cloud Perspectives blog.